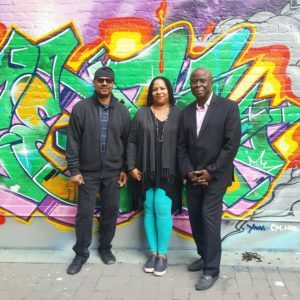 SoundNoise began as a trio that vocalist Fay Victor put together with drummer Reggie Nicholson and soprano saxophonist Sam Newsome. Victor bought the group together for an outing on the annual Arts for Art InGarden Series on the LES in NYC in 2015. Victor looking to develop a free improvisational unit where each member are composers in their own right with a deep knowledge and feel for form. SoundNoise explores this and more sonic terrain within sound worlds created in realtime. 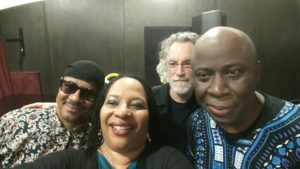 SoundNoise has performed on the Vision 21 in 2016 making it a quartet with the addition of Melvin Gibbs on bass guitar and a number of other performances around the city. This past August 2017 , SoundNoise Trio ventured into the studio along with acclaimed guitarist Joe Morris, to record a project for ESP – Disk called Wet Robots. Calling this incarnation of the SoundNoise vibration, SoundNoiseFUNK. Wet Robots was released in July 2018 garnering critical acclaim in media outlets such as Popmatters, The New York Times and JazzTimes, coming in at #4 on NPR’s annual Jazz Critics Poll 2018. 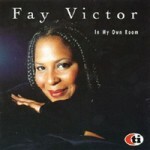 Fay Victor’s roots are firmly from the the jazz tradition and for the past 15 years Victor has spent an extensive amount of time learning, developing and writing lyrics for the compositions of Thelonious Monk and Herbie Nichols. 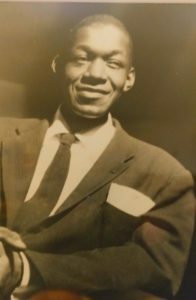 Victor discovered Herbie Nichols while living in the Netherlands and has discussed, analyzed and performed his music with major proponents of his music such as pianist Misha Mengelberg and of course the great recently depart trombonist, Roswell Rudd. After many years of working out the music and approach (also through working with German pianist Achim Kaufmann) Victor combined Herbie Nichols’ compositions and her lyrics with a new free spinning form for his music which spurned the project Herbie Nichols SUNG. This group performs regularly around New York. Victor is the only New York based musician consistently playing the compositions of Herbie Nichols with established group of musicians. 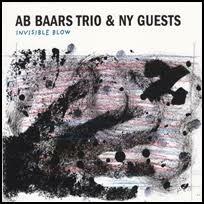 In February 2016, Victor recorded the Herbie Nichols project LIVE in Amsterdam (The Bimhuis) and Koln (the Loft) with pianist Achim Kaufmann and reedist Tobias Delius working on getting a record deal for Herbie Nichols SUNG. (Check the SoundCloud Page for clips of Herbie Nichols SUNG). During the first week of January 2019, FV curated a four day celebration in honor of Herbie Nichols Centennial. Herbie Nichols SUNG was a part of the celebration. Mutations for Justice, Mantras for Change is a social justice project based around small musical composition mantras or ‘memes’ as clarifying messages or a rolling diary of the Trump administration. 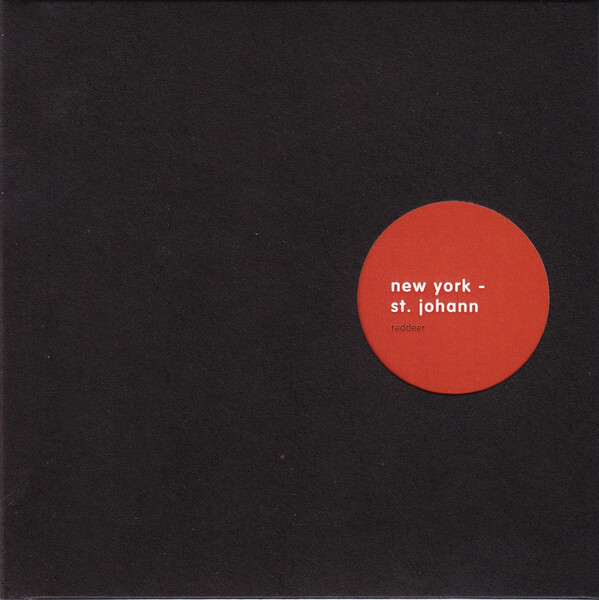 The minimalist and repetitive framework develops through improvisation, in effect chanting protest music to change how we see. The culmination of Mutations for Justice will be a recording/performance project of 45 compositions, close to Election Day in 2020. Curretnly 20 compositions haev been written! In the interim there will be performances to solidify the concepts in the pieces and register the reception from audiences, crucial as the compositions and messages are designed to comfort and inform, to be a conduit for these times. Victor has been awarded a Headlands Center for the Arts Residency to complete Mutations for Justice. 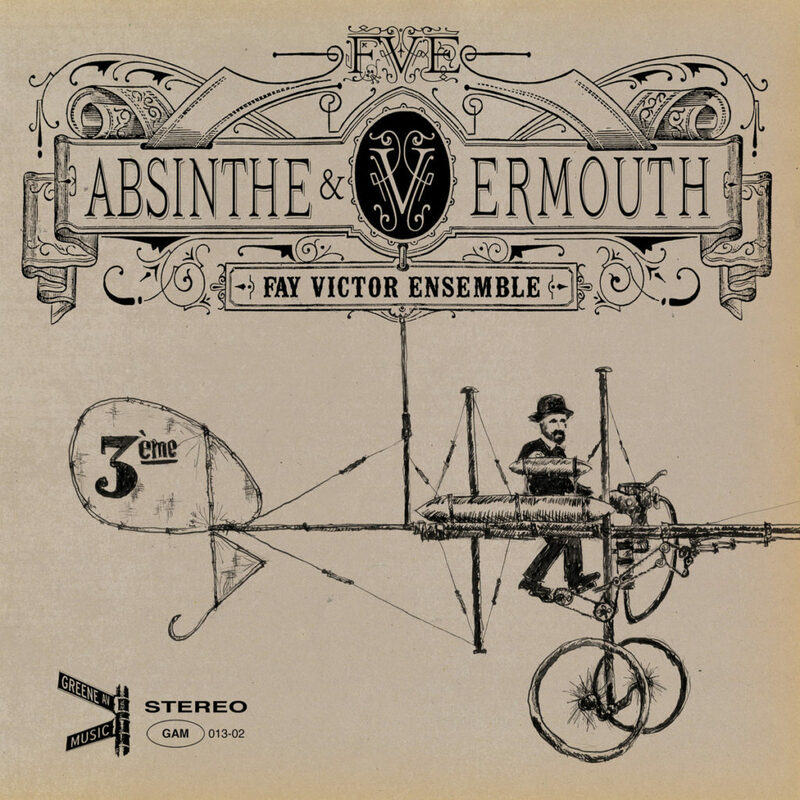 A few years ago, FV started bringing back the original compositions she first began writing with bass guitarist, composer and husband Jochem van Dijk when the lived in Amsterdam, the Netherlands. 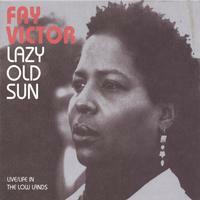 The pre-Fay Victor Ensemble compositions originally appeared on earlier albums of FV’s such as Darker than Blue and Lazy Old Sun. 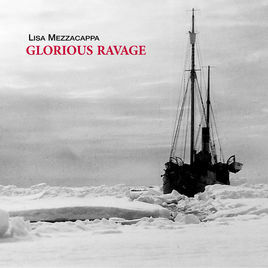 Compositions such as ‘Nico‘ and ‘There They Are’ lingered deep into FV’s performance repertoire up until the present while most of the other compositions weren’t performed for over 10 years. As one of the wonderful projects that developed out of the montly 55BAR residency was the organic coming together to perform these pieces, first just for fun and then finding new possibilities with the tunes. Now into a serious project that will most likely be the next release FV brings out. 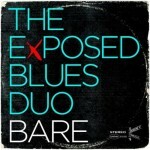 OLD SONGS, yes and the NEW SKIN is the fresh and sparse instrumentation presenting these compositions. 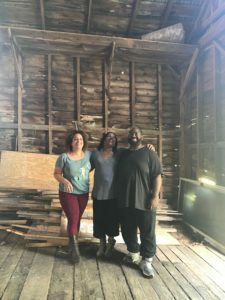 Be on the lookout for BarnSongs, Old & New recorded in a barn in Upstate NY in September 2018. In Praise of Ornette is a project devoted to the music of Ornette Coleman the Victor started in 2015 with the long term goal of developing Victor’s 2nd jazz repertory project after Herbie Nichols. 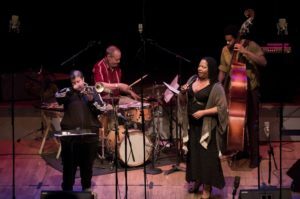 The group has performed around New York City on the Sound it Out Series, Evolving Festival, the 55 BAR, Barbes and Craig Harris’ The Harlem Afternoon Jazz Series that was also place the group performed for the first time. 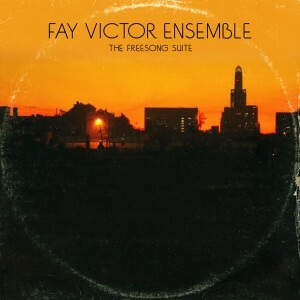 Victor’s strong arranging skill feature a drumless transparent take on Ornette Coleman infectious and incredible compositions. 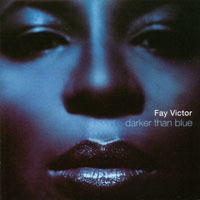 Since 2012, Fay Victor has a monthly performance at the famed 55BAR in New York City, home to incredible musicians such as Mike and Leni Stern, Wayne Krantz, Steve Bernstein and was a favorite haunt of avant garde piano genius Cecil Taylor. 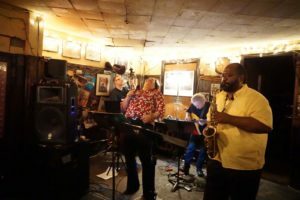 Victor’s been associated with the club since 2005 when former owner Queva Lutz was generous to give Victor gigs in the venue while Victor developed the music for the Fay Victor Ensemble, the ExPosed Blues DUO and the Jazz Vault which turned into Herbie Nichols SUNG. After a long and regular association with the club, on her birthday in 2012, Victor started a monthly residency on the last Thursday of every month. 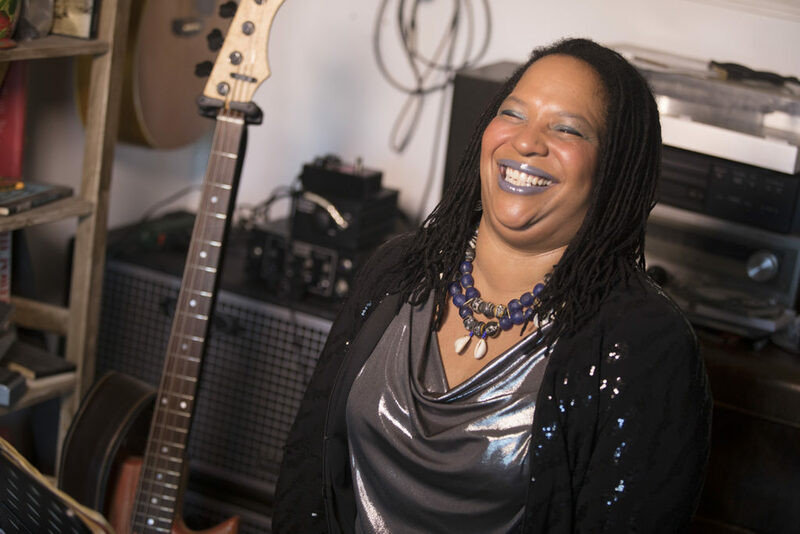 Victor has mixed it up, featuring a wide range of musicians including her working groups plus special ad hoc groupings that turn into amazing musical happenings. Check the performance page often for what coming up next at the 55BAR. Featured musicians at the 55BAR with FV have included Tyshawn Sorey, Cooper Moore, William Parker, Jaimie Branch, Marika Hughes, Roy Nathanson, Marty Erhlich, Mazz Swift, Aruan Ortiz, Anthony Coleman, Kyoko Kitamura, Jose Davila, Ratzo Harris, Ken Filiano, Anders Nilsson, Sam Newsome, Reggie Nicholson, Sam Newsome, Daniel Carter, Will Connell, Roy Campbell and more. 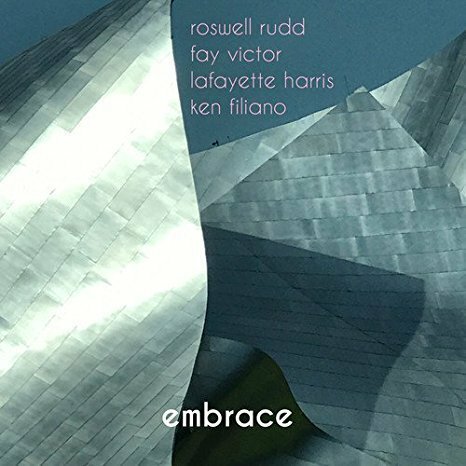 In addition – FV has projects such as Standard Explorations (an open expansive approach to jazz repertoire); The Quiet Side with Sam Newsome (soprano saxophone) & Ken Filiano. 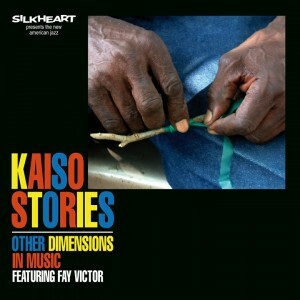 Fay Victor collaborates in many ways with great musicians from around the world. Always check out the performances page to keep abreast of fresh and/or one-off performances.